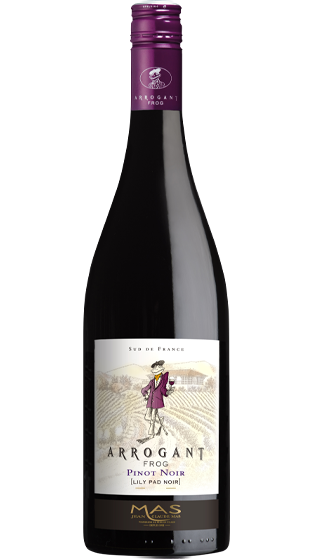 Tasting Note: Enjoy the South of France "Art de Vivre" (art of living) with Arrogant Frog Pinot Noir - NZ's NUMBER ONE SELLING FRENCH PINOT NOIR. Red berries and soft spice aromas combine with a hint of vanilla. Elegant and medium bodied with a long lasting finish. Château Arrogant Frog is made up of 20 hectares in Grand Cru Limoux (15 organically farmed and 5 certified sustainable). Vegan Friendly.